Wind-blown dust from access roads and yards around equipment and packing sheds has long been a challenge on cropping farms, orchards and vineyards across New Zealand. The majority of airborne dust is kicked up as a result of the necessary movement of trucks, tractors, and forklifts around your block, but also from these unsealed roads and yards during the dry and windy months of the year. New Zealand horticultural industry experts PGG Wrightson is now working with Global Road Technology, an independent, Australian owned polymer-engineering company which provides dust suppression and erosion control products for the rural sector. “We’re pleased to introduce the full range of Global Road Technology (GRT) dust, erosion, and road construction and maintenance products in New Zealand via Fruitfed Supplies and PGG Wrightson,” says Daniel. “GRT products have been developed to effectively eliminate dust generation by controlling the surface of gravel and soil-based tracks and packing sheds without the expense of bitumen sealing, asphalt or concrete, the wasteful and overly short duration of water’s effectiveness, and the unreliability and detrimental impact of some other dust control products on the market. Experience in other markets shows that as well as providing effective dust control, GRT’s products also maintain tracks and yards in good condition, preventing the creation of potholes and puddles all year around. GRT5000 is a liquid polymer dust suppression concentrate for use on farm tracks and roads. Independent testing shows GRT5000 suppresses up to 95% of dust particles for up to two months. It is mixed with water and can be applied using existing water trucks or tankers to create a stable, tough, durable layer resistant to traffic wear, wind erosion, rainfall impact and pedestrians. GRT Wet-Loc is a clear, synthetic fluid that is applied neat. Formulated to meet the highest environmental standards, GRT Wet-Loc is non-toxic and non-corrosive. 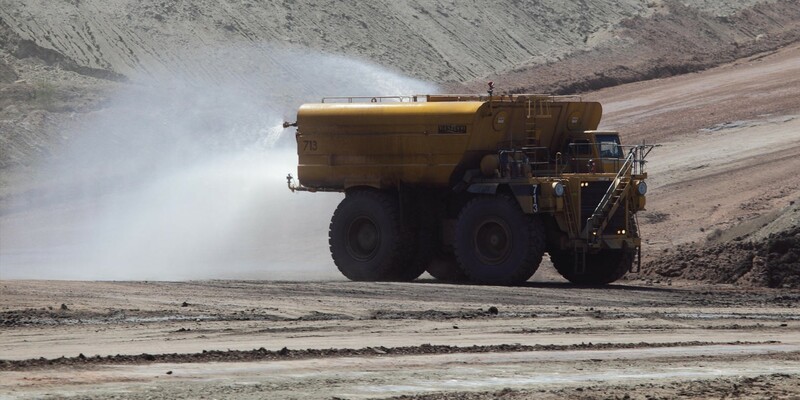 It permeates deep into the finest of dust particles, weighing them down securely like water, but without the threat of evaporation or freezing to handle heavy wear and tight turning areas such as storage, packing, and loading yards. With correct dosage and application, it can remain actively effective for up to 12 months, regardless of the weather or severity of traffic. Reduce the issue of dust in your horticultural operation and help reduce the risk of plant and fruit disease, improve crop yields, conserve topsoil and save water, reduce the incidence of fruit damage and wastage, help prevent air pollution, achieve industry compliance standards, and improve the safe working environment for your staff. For more information about GRT dust suppression and erosion control products, which come in 20, 200 and 1,000 litre drums, please talk with your Fruitfed Supplies representative.